Sixty-one years separate Fitzroy High School student Januar Manirambona and Jennifer Barden. But a love of music has brought them together in friendship. 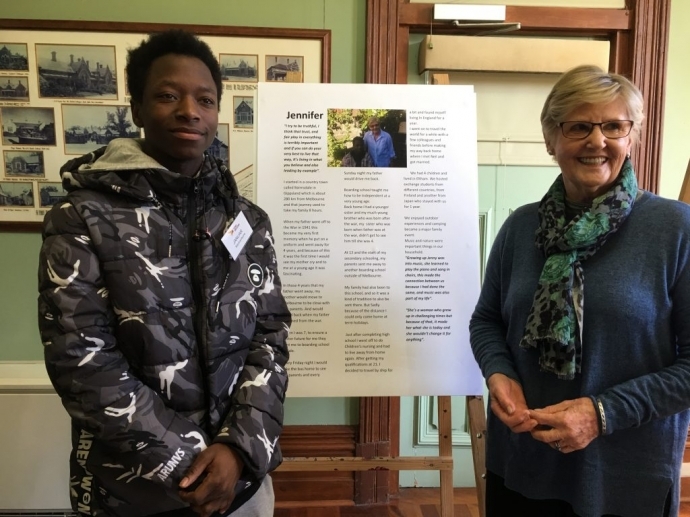 Januar is one of the Year 12 VCAL students taking part in the inter-generational project, involving OCAV’s Rushall Park residents and neighbouring Fitzroy High School, which was a highlight of the school’s VCAL curriculum last year. The 12 VCAL students were matched with residents at Rushall Park and several interviews were conducted in term one. The project storyboards, which were unveiled at Rushall Park last week, were completed as part of the Year 12 students’ Work Related Skills unit. The storyboards are a wonderful snapshot of the lives of some OCAV residents. Januar and Jennifer realised within a few minutes of meeting that they had a lot in common, though they were born decades apart and on different continents. Both play the piano, sing and love to be surrounded by music and song. Januar, who was born in Tanzania and came to Australia in 2007, was singled out early in primary school as a boy with a great voice. He was encouraged by his music teacher to join the Gondwana Music Program and sang with the choir for two years, travelling to Sydney and Tasmania to perform. He started playing the piano by ear and later took lessons at school. Jennifer was born in Bairnsdale as WW11 broke out and has lived at Rushall Park for three years. Like Januar, she was immersed in music from a young age, playing the piano at school assembly and singing. She then ‘married into music’ and handed on her passion for music to her four children. Jennifer’s husband, Neil, plays the French horn and has been involved in the Melbourne music scene for decades, having managed Musica Viva in the past. However, Januar’s career plans are taking him in a different direction. He wants to be a plumber and will start his course next year after the family returns from a holiday visiting relatives in Burundi. “I remember as a really little kid helping build homes in the village where we lived. I want to work in that area,” Januar said. Januar and Jennifer both share a love of family and getting together. They recently discovered that sewing is another activity they share – almost. Jennifer is a keen sewer and amateur embroiderer, and is currently working, with a group of other residents, on the OCAV 150th village embroidery. “My Mum sews and knits and fixes my clothes and so does my grandfather. Every time he comes around he brings his tape and is always measuring me for a shirt or a jacket,” Januar said. 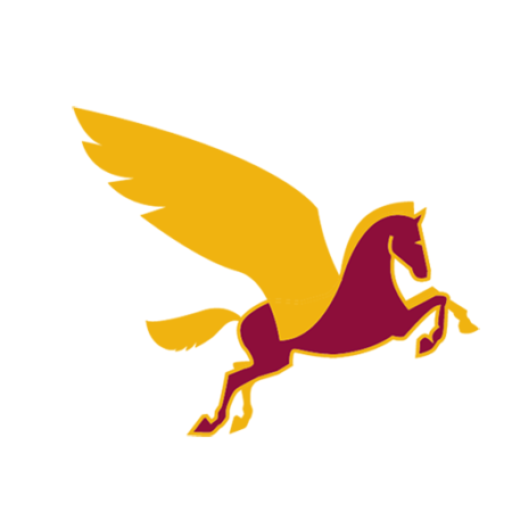 Stories of various residents and students will be featured on the website throughout the year. Bernard and Jean Pidd, who were featured in the April 2018 newsletter impressed Alex Mottershead with the story of how they came to Rushall Park after surviving the February 2009 Black Saturday bushfires in Kinglake. The couple also survived the Hobart bushfires in February 1967, which destroyed their home. The Intergenerational Project will be exhibited at a community space in North Fitzroy later in the year.